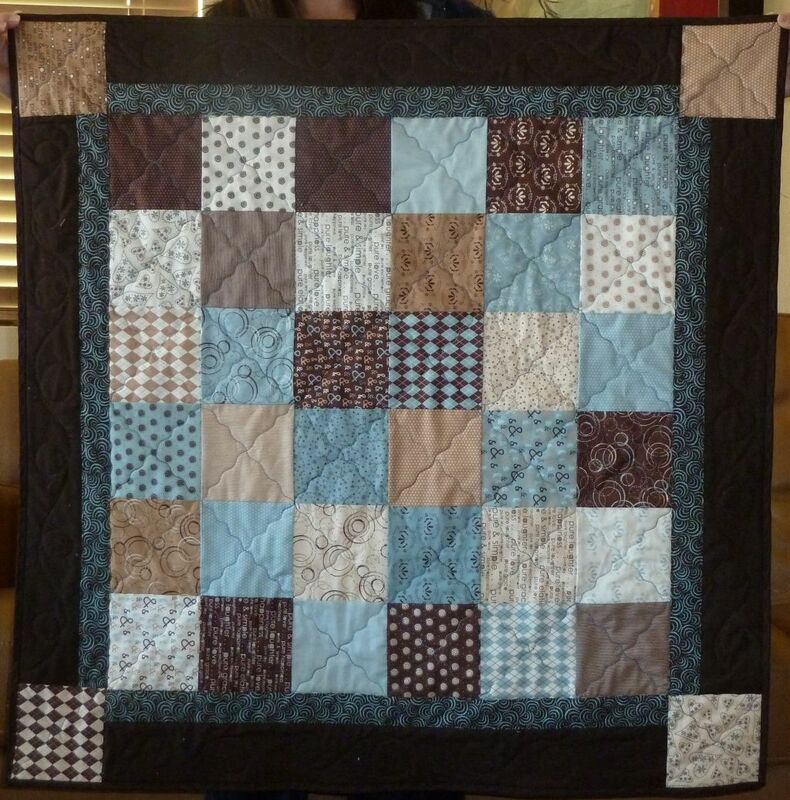 This is the second of three charm quilts I’ve been working on using the “Pure” line from Moda. You can see the other two quilts here and here. I wanted to do a simple non-free motion design through the squares. I thought this would be easier and more decorative than just stitching in the ditch. I have a “serpentine” stitch on my Bernina that’s really fun to use. It looks like wavy lines and I can set how wide and long they are. I didn’t even have to mark the squares – I just eyeballed it across all the squares since they weren’t that big. The ironic thing about stitching these quilts is that even though I loved how they turned out and wanted to use them as a marketing example of what to do with charm squares, I’ve now sold out of all the Pure charm packs and can’t get anymore! 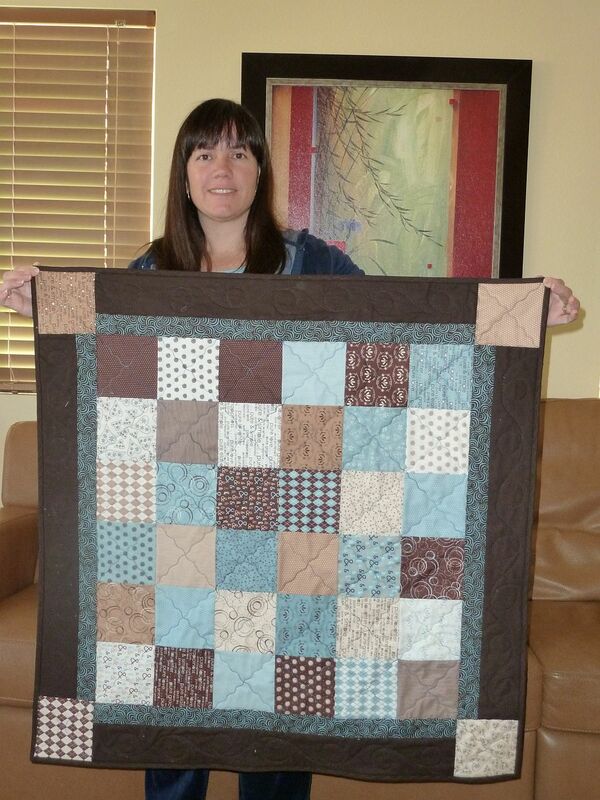 Oh well, at least the mom I gave this quilt to was thrilled with her new baby blankie! !